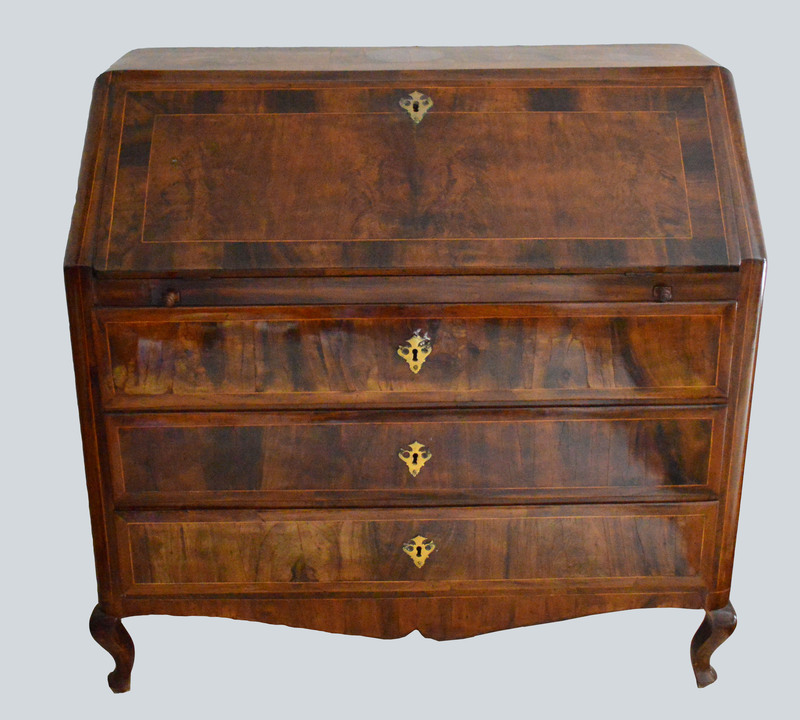 There is usually a gradual change in furniture styles; sometimes changes are gradual and subtle. 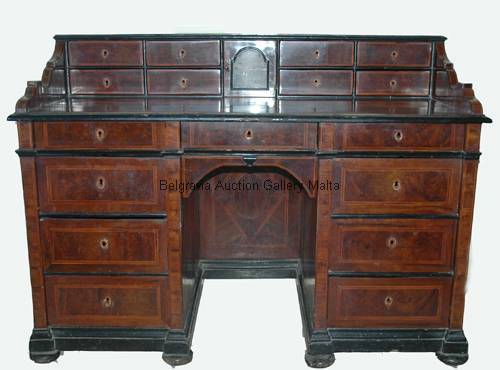 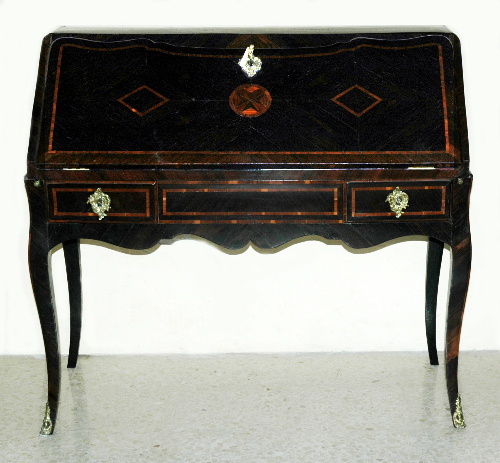 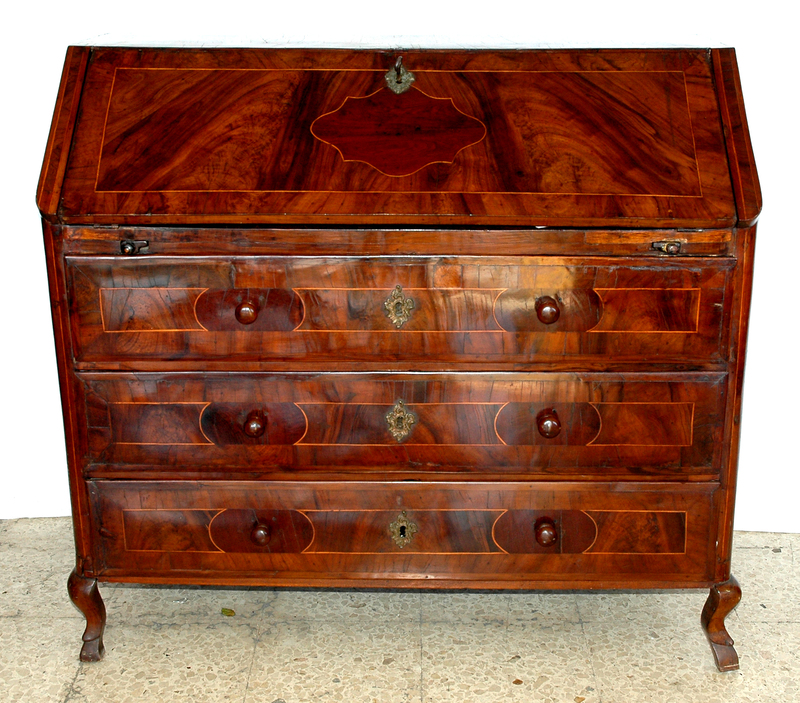 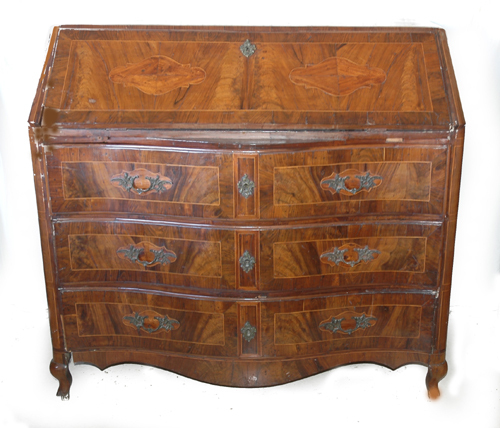 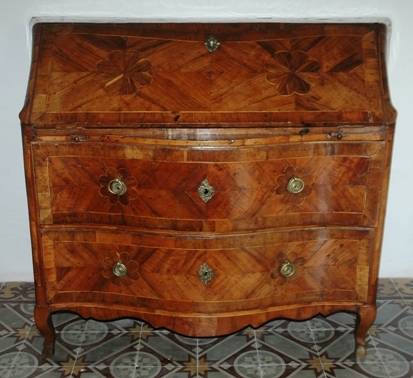 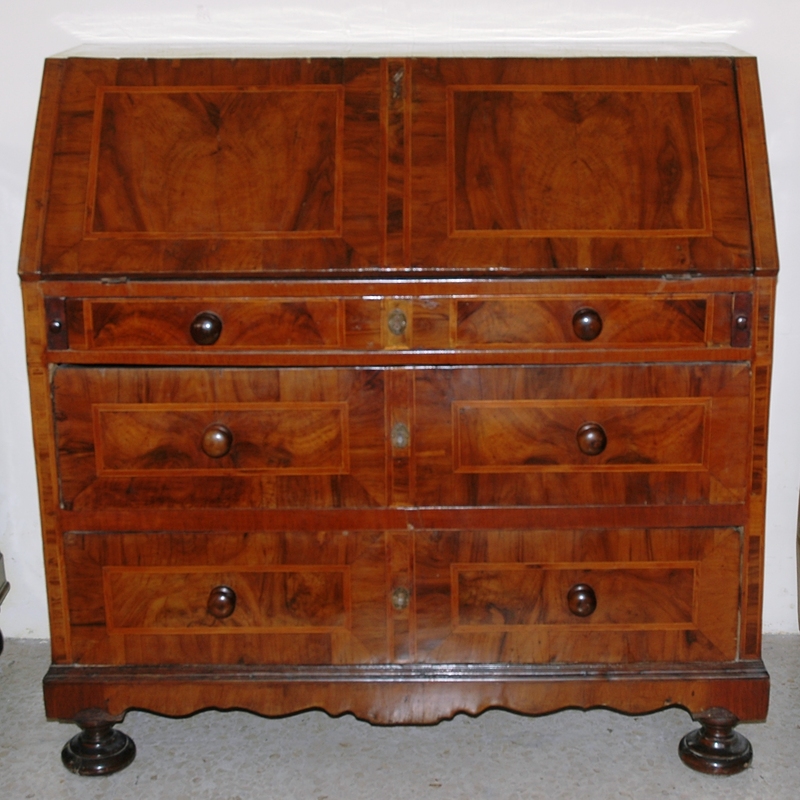 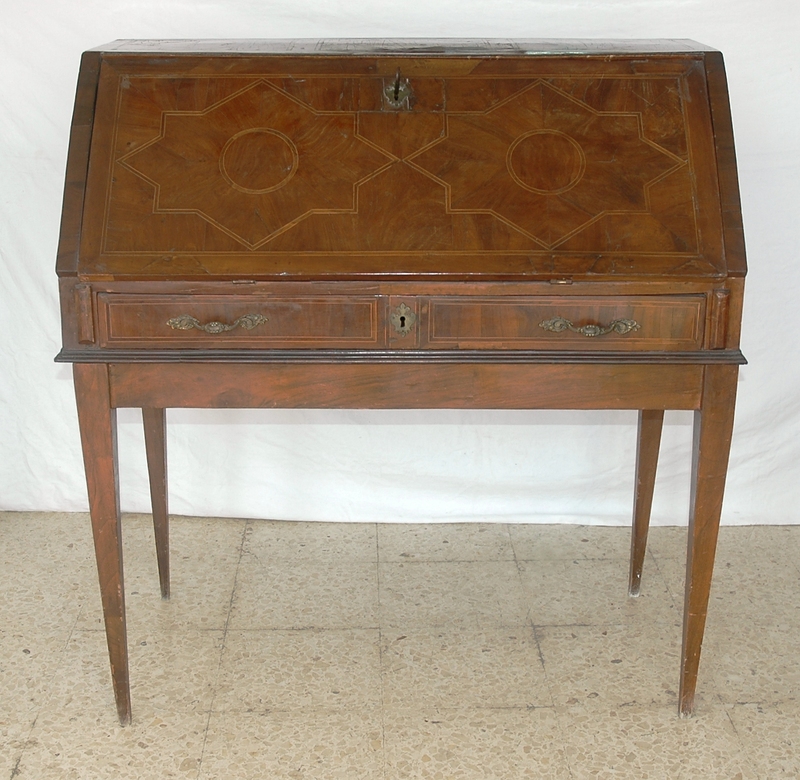 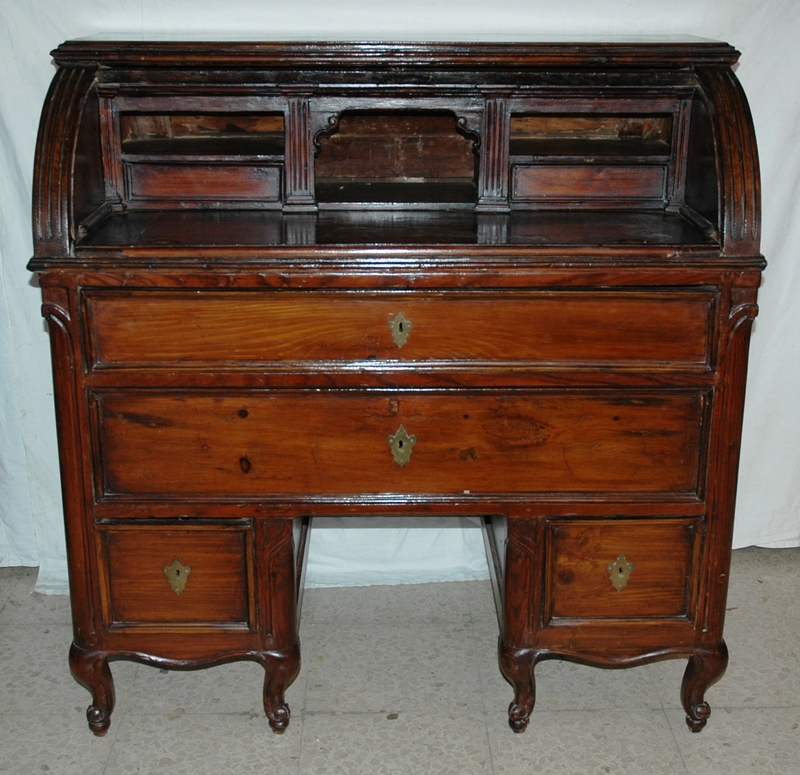 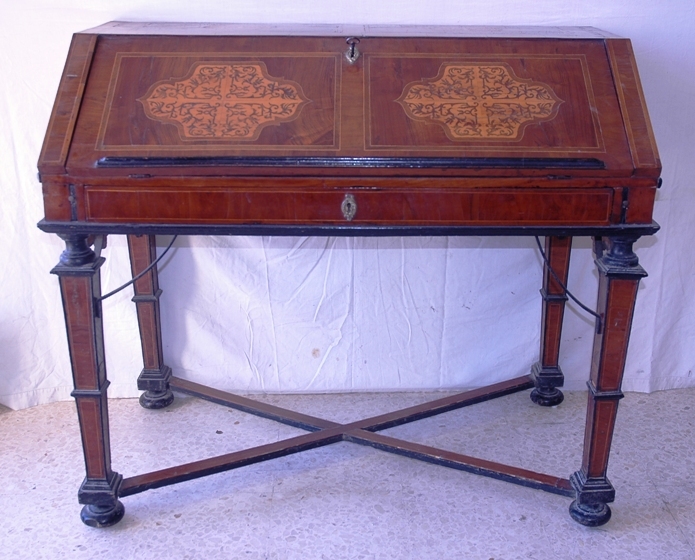 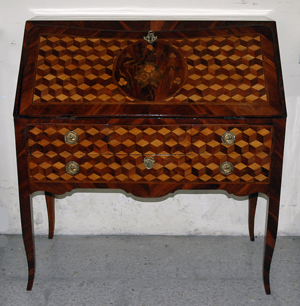 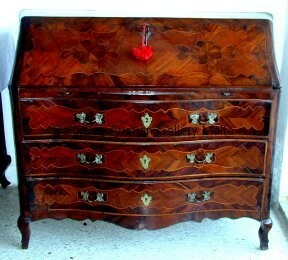 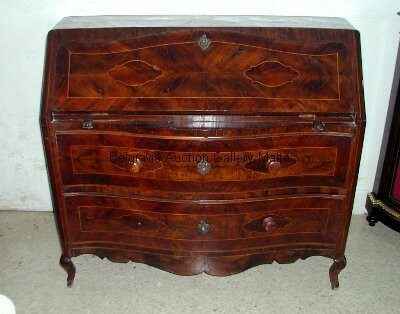 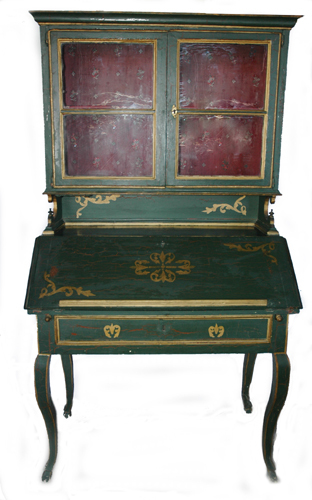 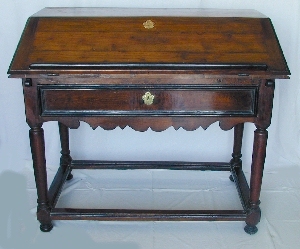 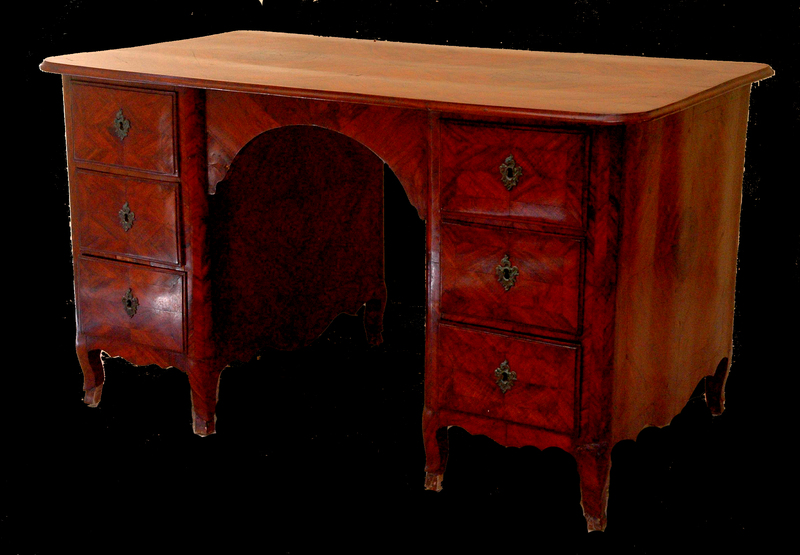 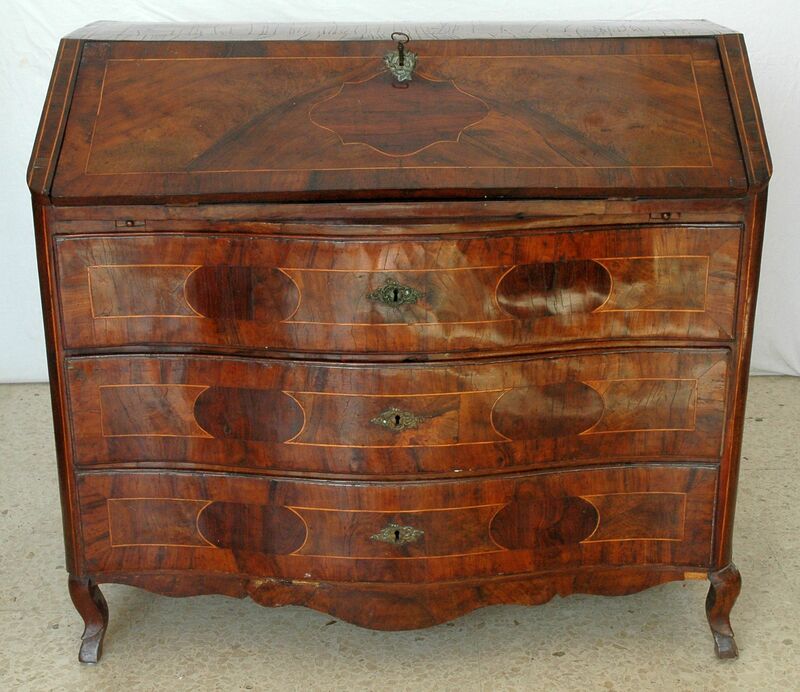 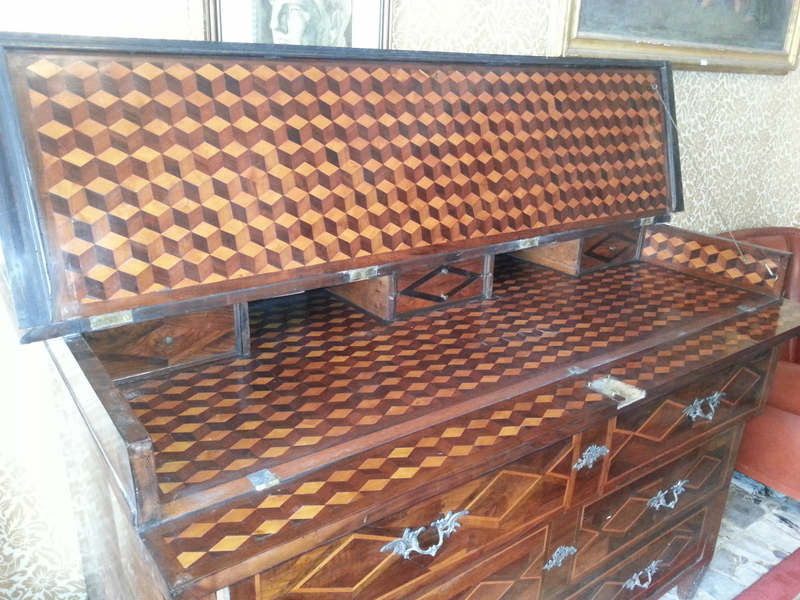 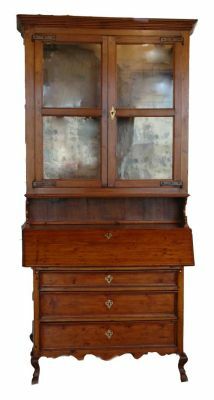 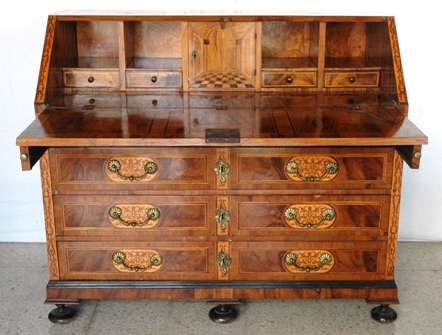 The Maltese 17th Century slope front table-type bureau, below left, does not have a clear transition to the half bureau prized and popular in the 18th century. 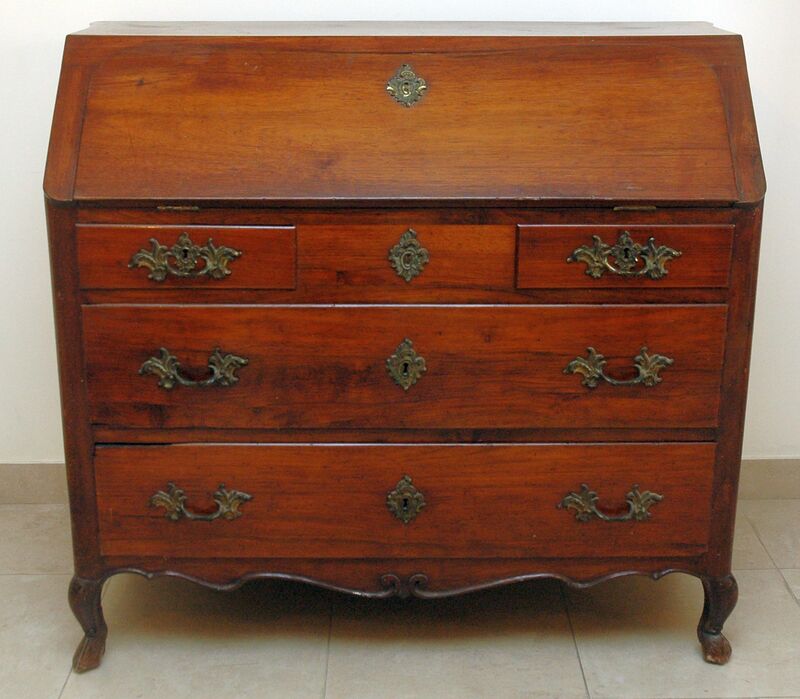 It is clearly a progressive modification from the full bureau.